The University of North Texas announced the largest donation in the history of its athletic department on Friday to help fund construction of the school’s new indoor practice facility. Not sure 2.5 million would be enough to cover the brick needed for ours! clt says their new facility is already paying dividends. North Texas unveiled its throwback jerseys for its game against Louisiana Tech this morning. Saw that earlier. That was pretty cool to watch. Not sure how, but I think the o called us that in the ‘76-77 era. We’re we zombie gold miners too? Looks like a thriller ripoff. 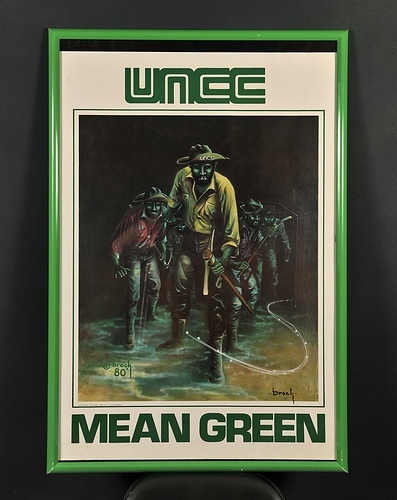 North Texas was smart enough to trademark Mean Green and we had to stop using it. Some irony in UNT honoring Joe Greene, who was prevented from playing at a Southwest Conference school due the then segregated recruiting policy that barred African Americans from playing in the SWC (as well as the SEC). Ironic in the sense that the first African American football player to letter at Texas - Julius Whittier of San Antonio - died this past Tuesday. 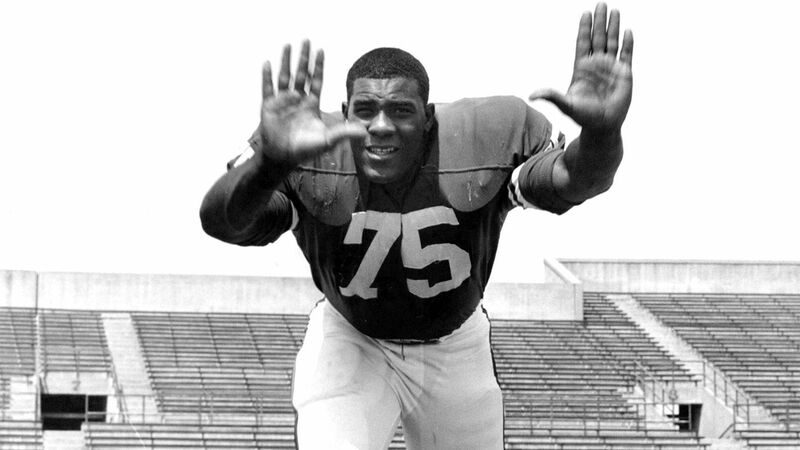 Longhorns' first African-American to letter in football passed away on Tuesday morning. That is a great clip. Even with Barbara WaWa & the half naked dude in the shower. Was the year I was born so I obviously don’t remember that run but still amazes me how close we have been to a National Championship. still amazes me how close we have been to a National Championship. Am fortunate (old) enough to have experienced that first hand. It was like a dream, as was the NIT the year before. BTW: here’s a pic of the rear of my '70 Nova back in '80. This pic was also in the school yearbook back then too. 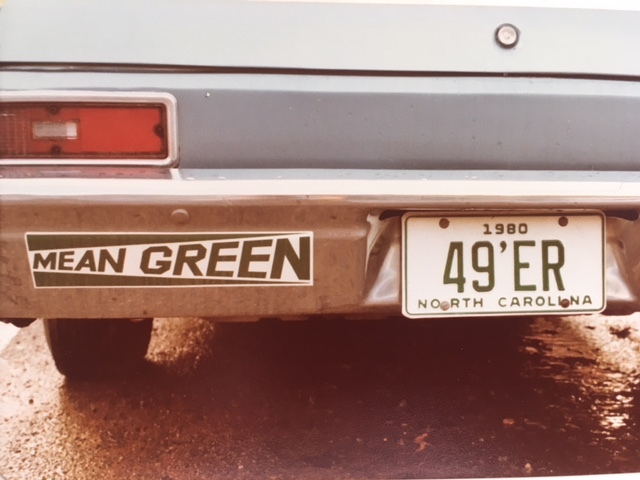 Note also that the NC license plates that year were green on white. I still have it and regret ever giving it up. The Wissel years made me do it. 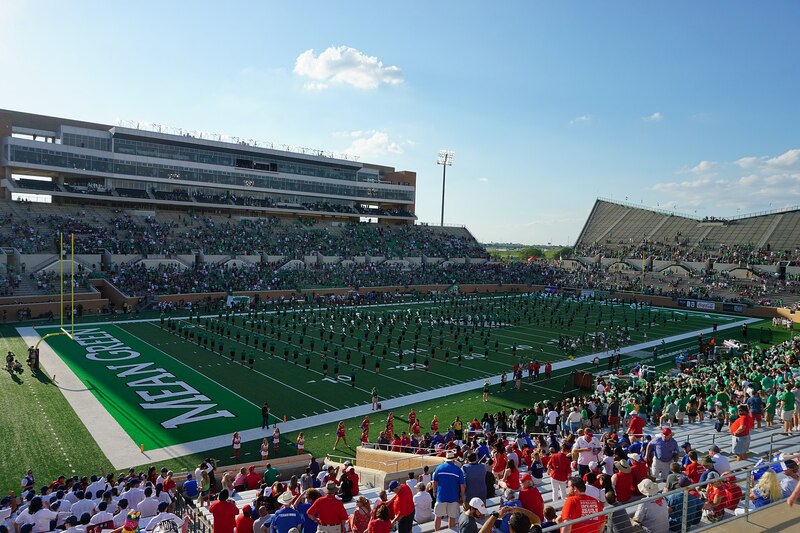 IMO UNT has the nicest stadium in the conference and this picture helps me imagine what an upper deck might look like at the Rich. I don’t see that 40,000 seat version of our stadium ever happening. UNT’s stadium only seats 30,000. They also have 21 executive suites something we should consider adding. Moss, thank you for that 40k rendering…I couldn’t find a good image. But agree, we probably won’t see a 40k for awhile (until our SEC invite at least lol jk)…What I like about the rendering is the new endzone entrance. The taller brick wall that extends to the stands, creates a more enclosed/private feel. More than just the black fence currently. I hope our press tower is more like UNT (more suites), because I don’t think just the conversion of our current press box to suites will be enough. I look forward to the day the AD releases updated renderings/plans. 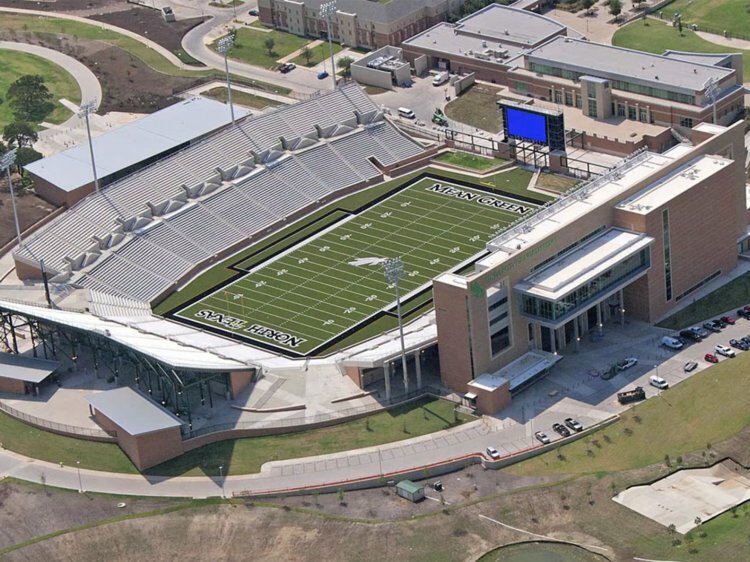 The UNT stadium looks nice except for the weird end zone seating. From the back it looks like the old Florida State or Wake Forest erector set seating. From the front it looks psychedelic and is visually confusing juxtaposed with the balance of the stadium. 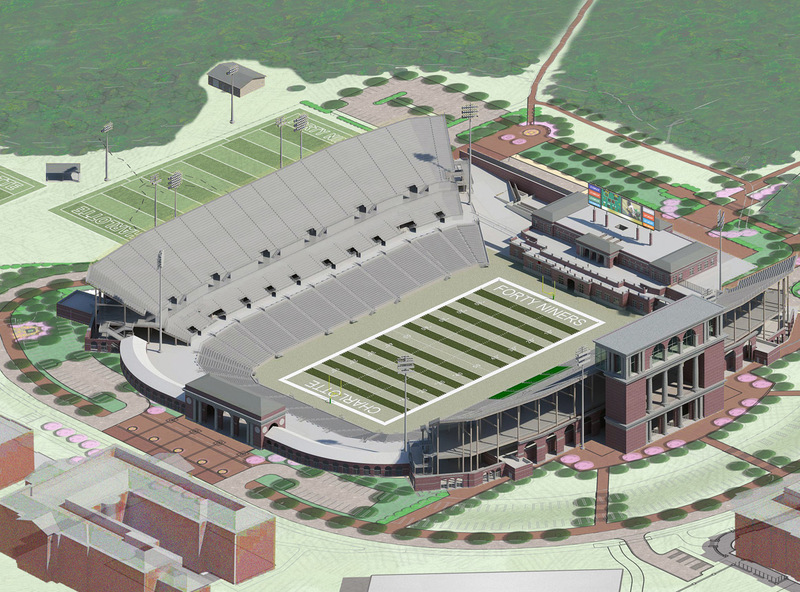 Our expanded stadium rendering is really nice…but I agree that at this juncture it’s hard to see it happening. But we certainly have the right AD in place…someone with vision and energy. I don’t think 40k is reasonable at this time, but its what I could find last night during a quick search. Premium seating is absolutely something we’re missing, for FB and MBB. I’d look for that to be addressed in the Athletics Facilities Master Plan.